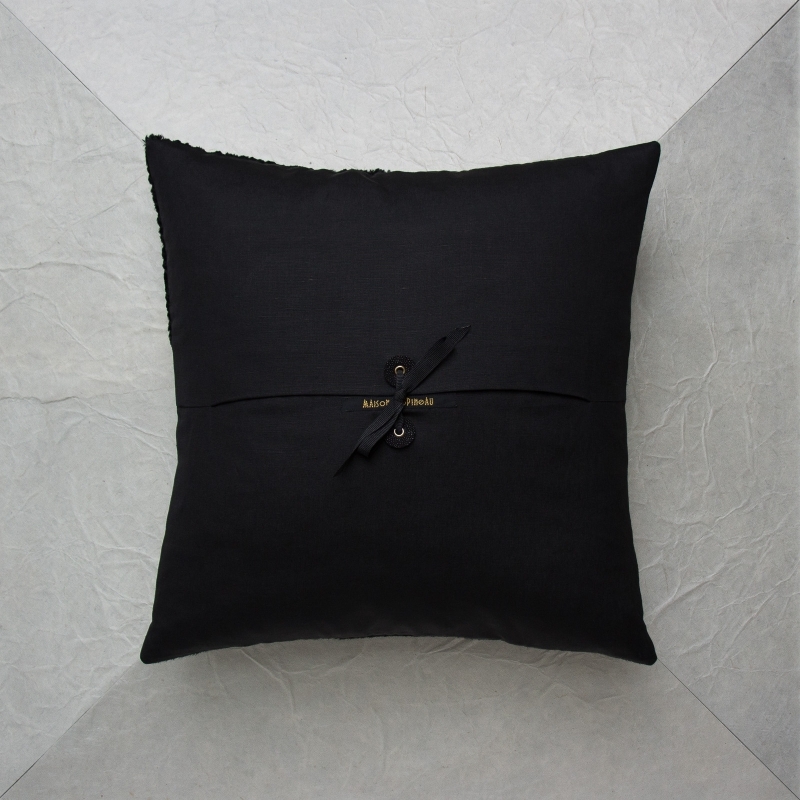 In the heart of the night, or awake during the day, all eyes are attracted to the deep black colors of this darkly shaded, hypnotic cushion. 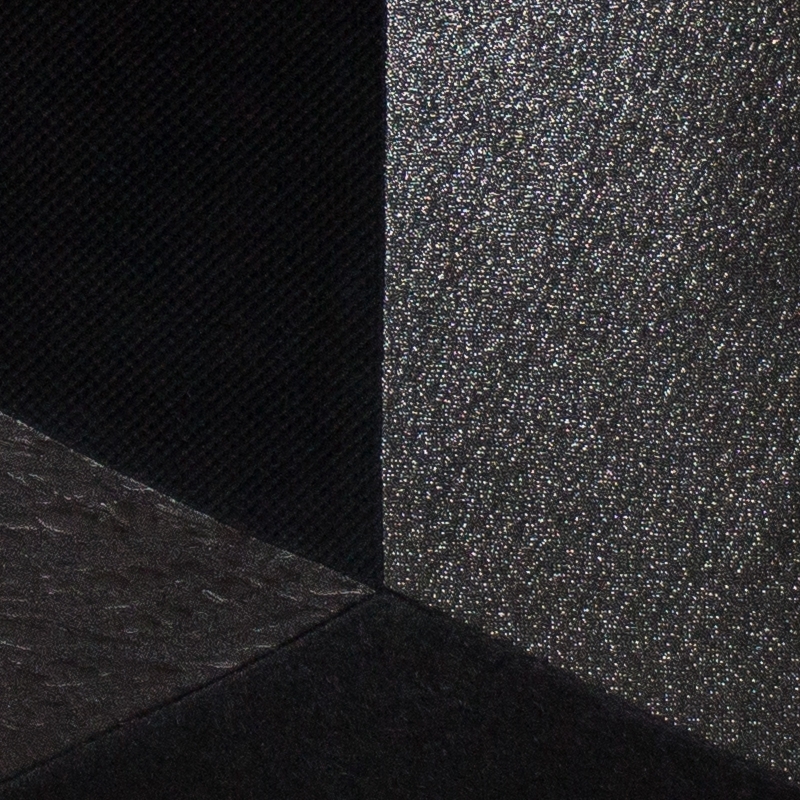 It is even more subtle when you touch its combination of 7 different materials that are silky, soft or rough. 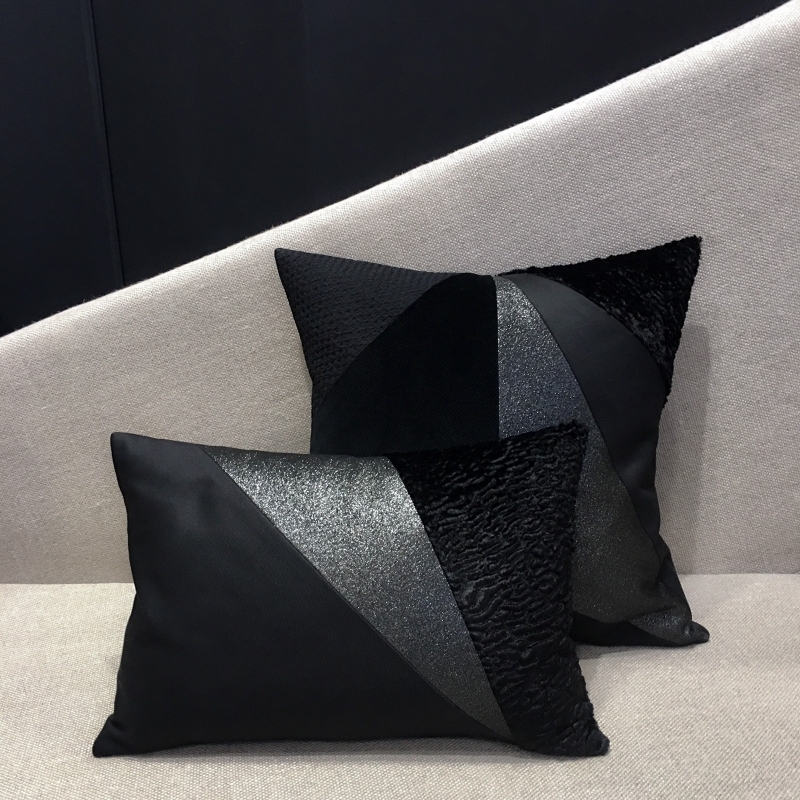 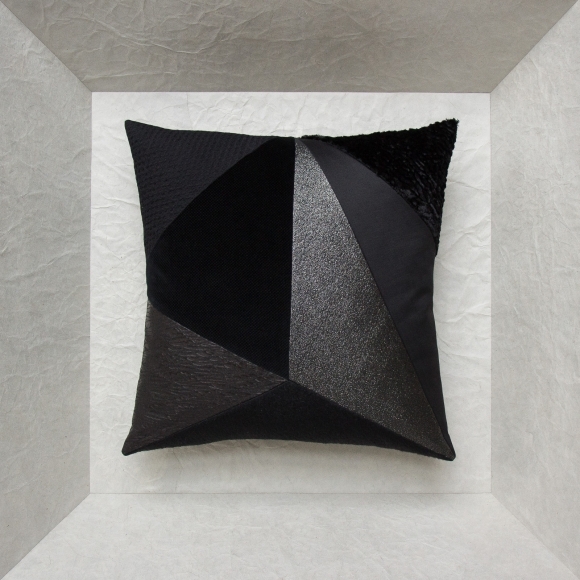 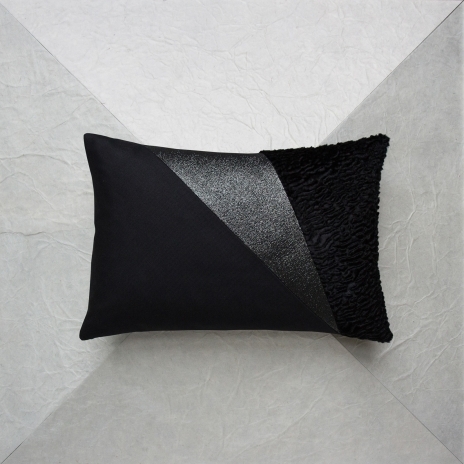 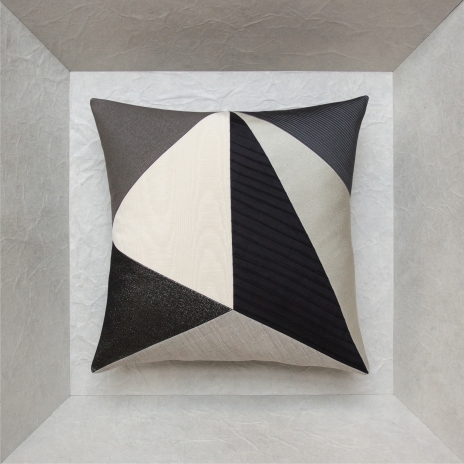 This cushion has a mysterious aura with contrasting luxury that stands out in a room when caught like an eclipse during the night of a full moon. 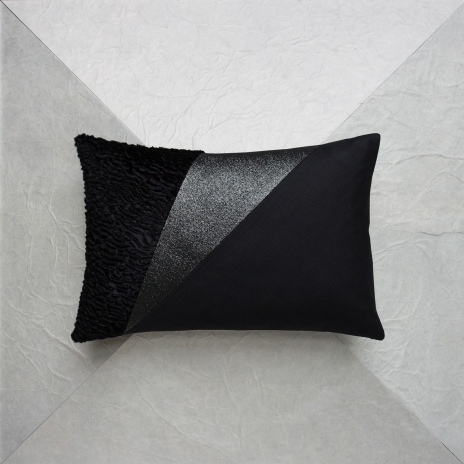 On the front, embossed black silk, black caviar cotton velvet, coated black zebra silk and polyester, black wool, black silver cotton and polyester lamé, vintage black cotton satin and false black polyester and cotton astrakhan fur. 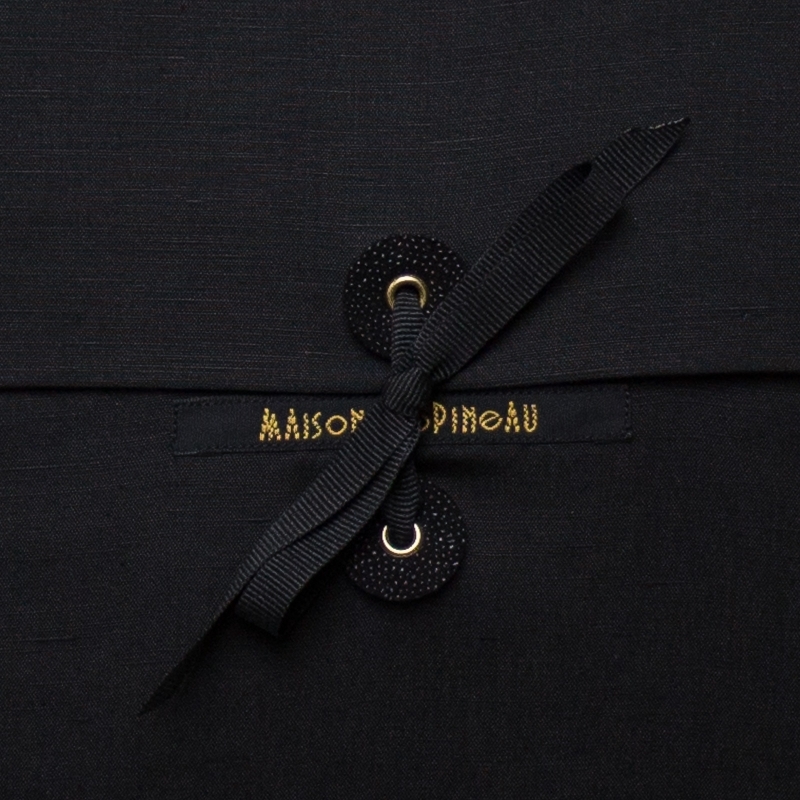 On the back, black silk and polyester ottoman and the Maison Popineau signature: 2 black textured leather tabs with golden grommets and black grosgrain ribbon.